Our friends from Malaysia are in town for an exhibition and we are glad to accept their brunch invitation. What an opportunity for us to escape our daily grind and have a delicious brunch in the city. 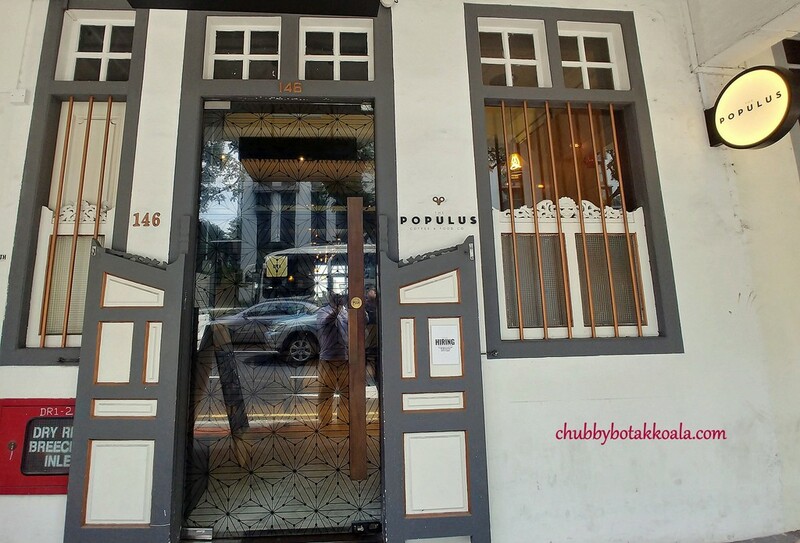 This is actually my second time visiting The Populus Café. My first visit was a few years back during our makan kaki café hopping session. At that time, the experience was not overly impressive, probably because it was our third stop on that day. Apparently, we arrived much earlier than our friends, so we decided to order first. 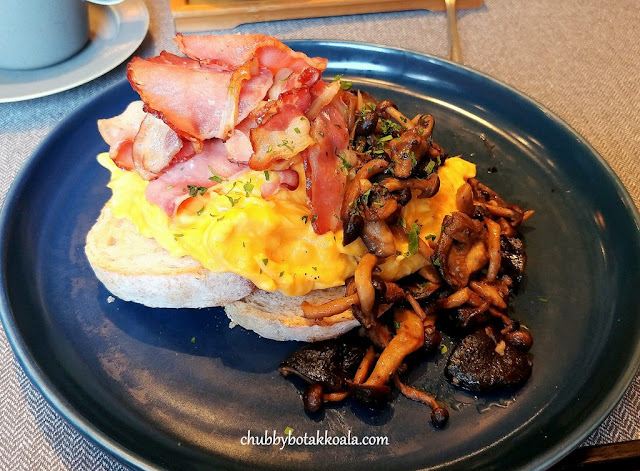 Simple Brekky ($12.50) – scrambled eggs and mixed mushrooms and back bacon (2 items from extra menus) on multigrain toast. It was a solid, unpretentious breakfast. The scrambled eggs were done right, eggy, creamy and moist sitting on two slices of thick toast. The bacon is crispy and the mushroom is buttery awesome. LD ordered Populus All Day Big Brekky ($25) – Soft poached 64º eggs, aerated hollandaise, potato rosti, frankische sausage, smoked salmon, homemade baked beans, L&P mushrooms, and mixed salad. The version of a luxurious breakfast. The egg is perfectly done and ooze out nicely when you cut through it. Hollandaise sauce is light instead of rich and thick, while the vinegar taste in the poached egg is very subtle almost undetected. On the base was rosti instead of bread, however, we will like it better if it is crispier and with a touch of salt and pepper on it. 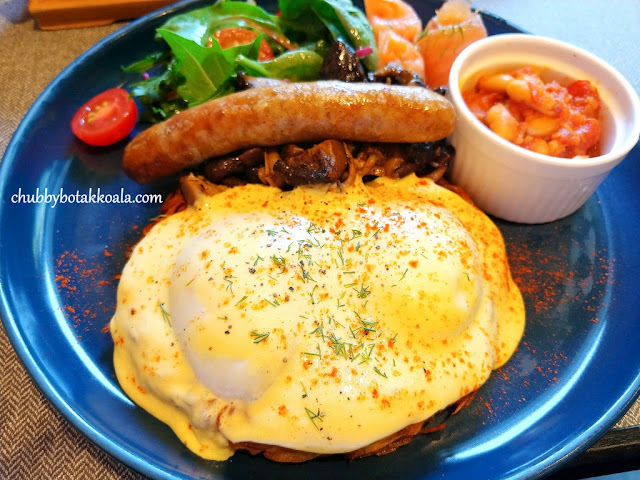 With the smoked salmon and sausage, it was like a party on the plate. 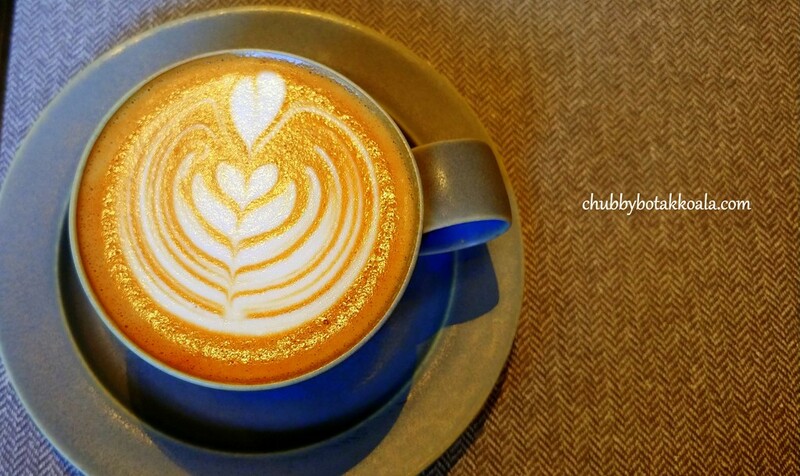 To accompany the breakfast, LD ordered Paris Moonlight Tea ($8). 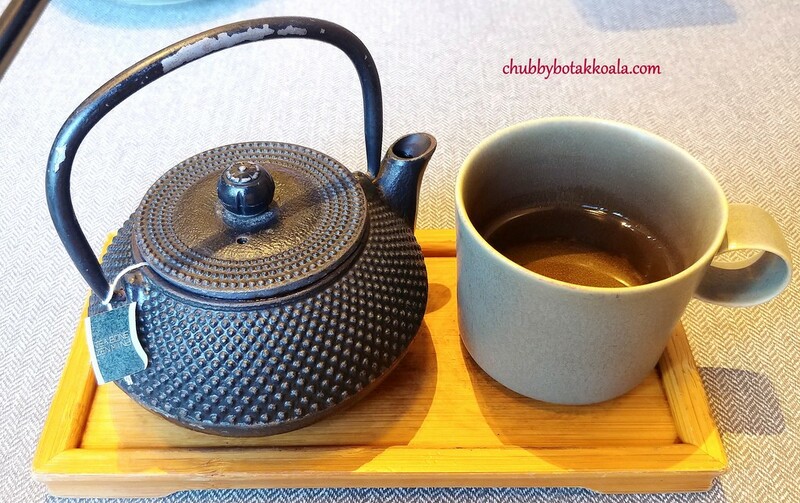 It was very fragrant, flowery and easy to drink. I ordered Magic ($6) for my coffee. For the beans, I asked for something nutty, bold and chocolate less fruity. The barista picked the blend for me, nicely executed latte art and it was just yum. The place is comfortable and good to catch up with friends. Of course, the delicious food and drinks help as well. Other than breakfast, their worldwide inspired lunch dishes look interesting. I look forward to my next visit and try the rest of their menu. Cheers! !